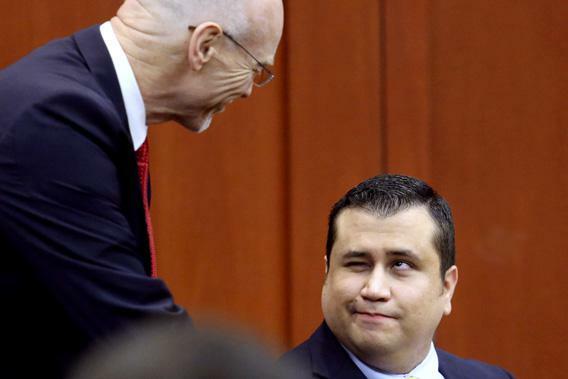 George Zimmerman and self-defense: Why it was too easy for him to get off. The problem isn’t Stand Your Ground. It’s who has to prove what. Much debate about the jury’s decision Saturday to find George Zimmerman not guilty of murdering Trayvon Martin has focused on Florida’s Stand your Ground law, which allows a person to use deadly force in self-defense even if they can safely retreat. One juror even cited Stand Your Ground as the basis for his decision. Having Stand Your Ground laws is a bad idea because the law can too easily turn into a license to kill when bad blood, not fear, motivates the killing. But the big problem for the prosecution in the Zimmerman case wasn’t really Stand Your Ground. It was about a broader problem with the law of self-defense—showcasing an aspect of the law that this case urgently shows should change. The evidence suggested that Martin was straddling Zimmerman at the moment Zimmerman drew his gun, so Zimmerman could not retreat. That’s why the central aspect of Stand Your Ground didn’t come into play. Instead, what really mattered was who started the fight. Zimmerman only gets to stand his ground, under the jury instruction the judge gave, if he was behaving lawfully in the first place—if he did not attack Martin. And this is a general principle of self-defense. All things being equal, people who start fights don’t get to end them with deadly force unless the victim clearly escalates things to that lethal level. In Florida, as in most states—even the ones that don’t have Stand Your Ground—the prosecution in a criminal case has the burden to disprove self-defense, beyond a reasonable doubt, once the defendant produces some evidence of self-defense. If the other person is dead, and there are no witnesses, as long as you tell the police, “He started it and I thought he was reaching for a gun” you have created some evidence that you acted in self-defense. And at that point, prosecutors have the burden of proof to show otherwise. Zimmerman was acquitted because the state couldn’t prove beyond a reasonable doubt that Zimmerman started the fight. The allocation of the burden of proof exacerbated the racial tensions in this case. What enrages many people about the verdict is the implicit assumption Martin, not Zimmerman, started the fight. That assumption, however, was essentially required by the jury instructions. The judge told the jurors that the prosecution had to prove that the killing was not self-defense. This meant that the prosecution had to prove that Martin was not the attacker—very hard to do, since Martin was dead and no one besides Zimmerman saw the fight begin. Requiring prosecutors to disprove self-defense is also a particularly bad idea in states that allow people to carry guns in public places. The more people carry guns, the more reasonable the fear that the guy you’re fighting with might be reaching for his. Or, if you are carrying a gun and rolling around on the ground with another person, like Martin and Zimmerman, you could fear that your opponent might be about to grab your gun—as Zimmerman claimed in his statements to police. Since your fear needs only be reasonable, not correct, a mistaken but reasonable fear that the other person is reaching for a gun legally justifies killing an unarmed person. The other person could have been reaching for a cellphone, but in a state that lets people carry concealed weapons, it would be harder for the prosecutor to prove that your fear of a gun was not reasonable. The more guns, the more grounds for self-defense—and the more licenses for violence. All of this shows why the burden of proof for self-defense should shift. If you are the first person to draw a gun in a fight in a public place, you should at least have to prove that you did not start the fight, and perhaps you should also have to prove that your fear of deadly force was reasonable. Would the verdict have been different if Zimmerman had this burden? Maybe not. But it would have meant that Zimmerman would have had to tell his story before the jury. Shoot first, and you should have to answer questions later. Now the Department of Justice is weighing whether to bring federal civil rights charges against Zimmerman. That’s unlikely to happen, or to succeed if it does, because federal prosecutors would have to prove even more than the state prosecutors did. They’d have to show essentially that Zimmerman killed Martin because of his race. There is a better way of getting at the truth. Martin’s family could sue Zimmerman in civil court for Martin’s wrongful death. That’s expensive and risky for the Martins, because another bad part of Florida’s Stand your Ground makes the plaintiff pay the defendant’s costs if the plaintiff loses. But if the Martins go ahead, they would finally get to ask Zimmerman, under oath, exactly how the fight started. Zimmerman could no longer claim a right against self-incrimination. He would have to testify and face cross-examination. And since the burden of proof on self-defense rests with the defendant in a civil case, Zimmerman would have to prove that he did not start the fight that resulted in Martin’s death, and that his own fear of deadly force was reasonable. It remains to be seen whether he could do that.